In the past 15 years, Butler County, Ohio, has seen substantial positive growth and revitalization. 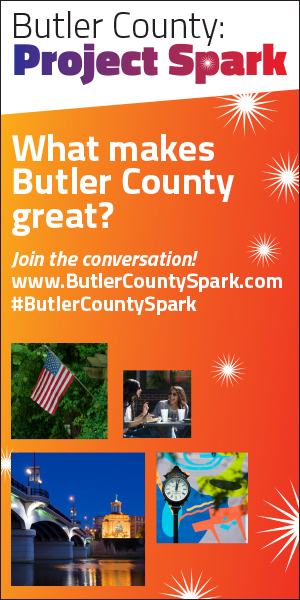 To reflect this change, County Commissioners, the Port Authority, Economic Development and the Visitors Bureau came together to launch an integrated brand to promote Butler County today, and where it’s headed in the future. A critical part of “Project Spark” was our extensive public engagement. Over 1,000 people have contributed ideas and insights through: seven community workshops; our Neighborland-powered microsite and 17 on-site installations; online surveys; one-on-one interviews; and six brand strategy workshops. The outcomes are a County positioning strategy with key messages and a multi-year implementation strategy.